Not too far from the glamorous tourist resorts and beautiful beaches of Fiji is another side to life in this tropical paradise – poverty in the small agricultural communities. Few locals profit from the regular influx of visitors and, instead, live simple, subsistence lives growing sugar cane, a few livestock and vegetables. It came as a huge shock to Romana Roschinsky, International Research and Training Program Leader for Livestock Systems at the UNE, when she travelled to the country for three weeks this year. “I’ve worked in other developing countries, in Africa, Nepal and Bangladesh, but in Fiji there is this great divide between the luxury resorts and magnificent beaches – what people usually see – and the lifestyles of most Fijians living inland,” she said. Which makes the project Romana’s contributing to, funded by the Australian Centre for International Agricultural Research, so important. 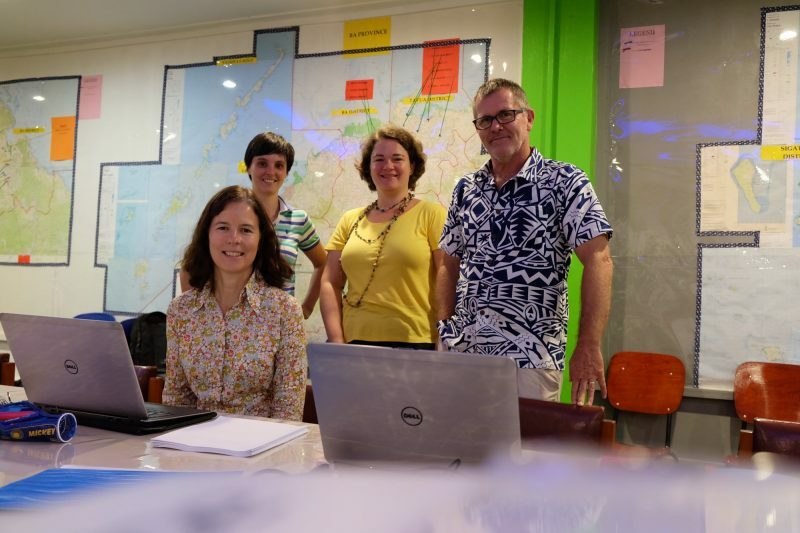 The UNE team, led by Dr Fran Cowley, is evaluating local production and marketing systems to identify ways to develop goat and sheep production and thereby improve the lives of some of the poorest Fijians. Fiji has a small goat herd (about 270,000) and sheep flock, and barely produces enough meat for the cultural festivals of local Hindus. Most of the meat consumed on the islands is lower-quality imports from Australia and New Zealand. But the end of preferential European Union pricing for the country’s main commodity – sugar cane – has forced the Fijian Government and its farmers to consider other options. “The Government is keen to improve and expand sheep and goat production because these animals are easy to manage, relatively inexpensive to produce and have good fertility,” Romana said. But Romana’s focus group discussions and household surveys highlighted some impediments. There are few qualified veterinarians in Fiji, little pasture and forage management and breeding expertise, poor fencing, parasite problems and market access challenges. “On top of that, there are complex land tenure systems, natural disasters (Fiji is still recovering from Cyclone Winston, which struck in February 2016) and short, local, seasonal market chains to contend with,” she said. Photo: UNE’s small ruminant project team (l-r) Michelle Carnegie, Fran Cowley, Romana Roschinsky and Geoff Smith.